Police reform in Ukraine could be sped up. 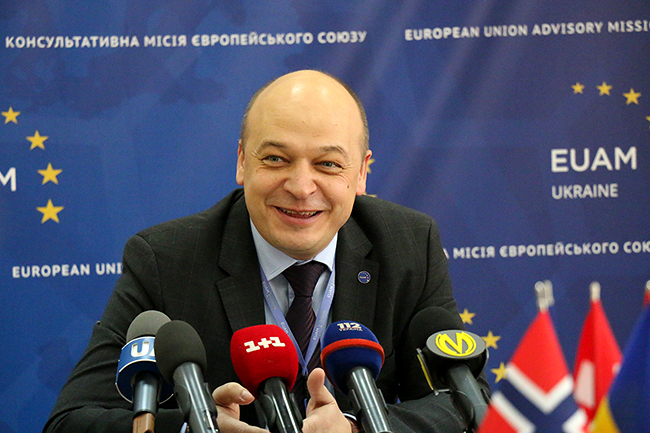 Head of EUAM joins Ukraine Today to talk about changes of law enforcement agencies. The Head of EUAM, Kestutis Lancinskas, joined Ukraine Today to assess the achieved progress of the reforms and the next steps that should be taken. “Ukraines traffic police is a “success story”, however, I believe the reforms of police in general could be sped up. Ukrainians want the changes now, or even yesterday, but its a long process. It took us 10 years to reform the police in Lithuania, and we are still improving. But from what Ive seen, Ukraine is headed in the right direction” . To learn more on cooperation between EUAM and Ukrainian law enforcement agencies and the advice on reforms watch the full interview on Ukraine Today.